At East Coast Credit Union, members are customers and owners. It’s a better relationship that ensures your needs come first. 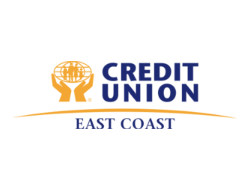 East Coast Credit Union members take control of their own financial future. As an owner with East Coast, members have access to all of our products and services. Chequing/savings accounts, loans, mortgages, MasterCard® & Choice Rewards products, RRSPs, RESPs, GICs, retirement planning and so much more. Members have access to accounts 24 hours a day, 7 days a week through ATM & Internet banking or for those who prefer a little face-to-face you can stop by the branch during regular business hours.